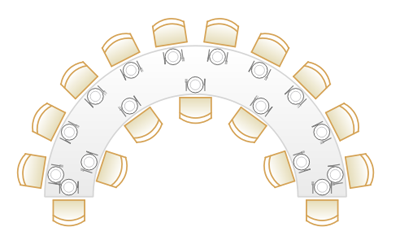 You can add a serpentine table by selecting Insert>Serpentine Table... . You can set the number of seats separately on each of the 4 sides. 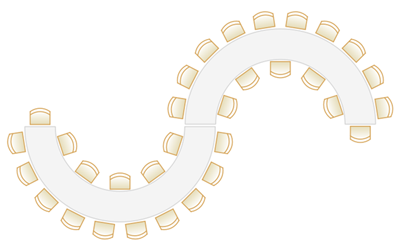 You can join 2 serpentine tables together to make an S-shaped table. You may need to turn the grid-snap off to align them.